Hundreds of earthquakes have struck near Anchorage, Alaska, since a magnitude 7.0 quake struck at 8:30 a.m. local time (10:30 a.m. Mountain Time) Friday. That quake was centered less than 10 miles north of Anchorage. 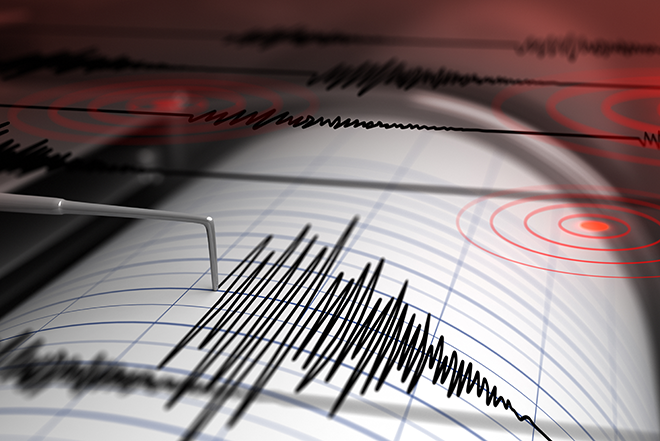 Earthquakes measuring 2.5 or greater on the Richter Scale in the 24 hours following a 7.0 near Anchorage, Alaska, November 30, 2018. Courtesy USGS. According to the United States Geological Survey, 249 earthquakes measuring 2.5 or greater on the Richter Scale have shaken the area in the 24 hours since Friday morning's powerful event. 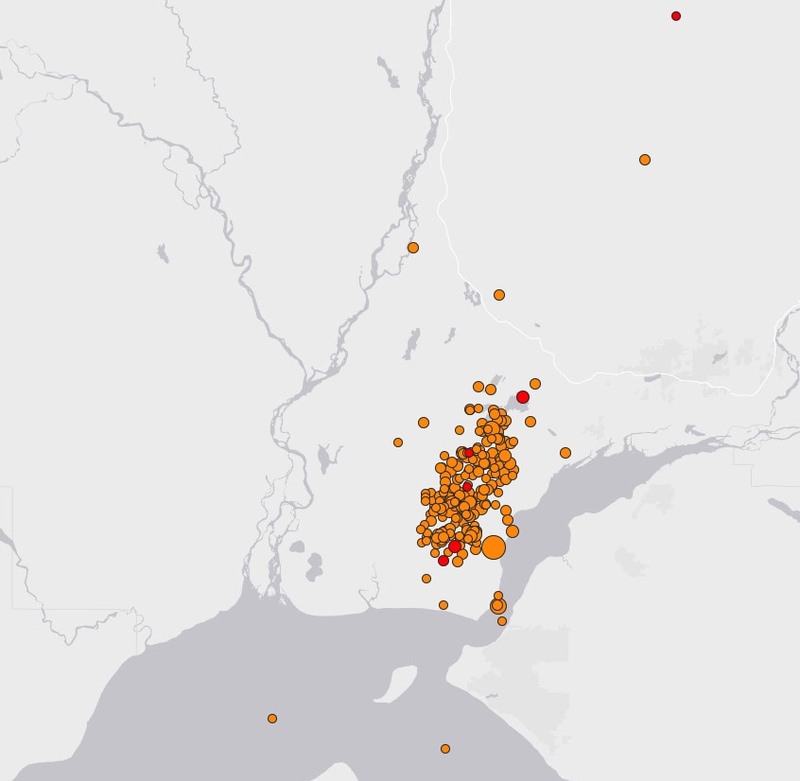 More than 600 quakes of all magnitudes have been recorded during the period, most of which have been across the Knik Arm of Cook Inlet from Anchorage. The majority of the aftershocks have measured less than 4.0, however 12 - including the large quake - have measured 4.5 or greater. The largest aftershock, measuring 5.7, occurred just five minutes after the initial quake. Most of the quakes have occurred about 25 miles beneath the surface. Damage is widespread, with buckled roads impeding traffic. Buildings suffered extensive damage, including broken windows and fallen ceilings. Television and radio stations were knocked off the air, including station KTVA, which had to evacuate its building due to safety concerns. The station turned to a Facebook Live stream from cell phones to continue broadcasting. The Alaska Division of Homeland Security and Emergency Management activated the state's Emergency Operations Center to Level 3 to coordinate response. The Federal Emergency Management Agency was preparing to send an Incident Management Assistance Team to help with response and recovery efforts. President Donald J. Trump approved an emergency declaration for the state, which provides additional assistance and funding for response efforts. Current status: we are actively monitoring the situation in #Alaska following a 7.0 #earthquake this morning near #Anchorage and coordinating with our staff and partners on the ground. Our Incident Management Assistance Team is preparing to deploy to support the affected areas. Anchorage has a population just under 300,000 people and is the largest city in Alaska. Quakes are common across Alaska. So far in 2018, nearly 44,000 have been recorded according to the Alaska Earthquake Center. In 1964, a magnitude 9.2 earthquake struck Alaska, causing extensive damage. The video below has more details.